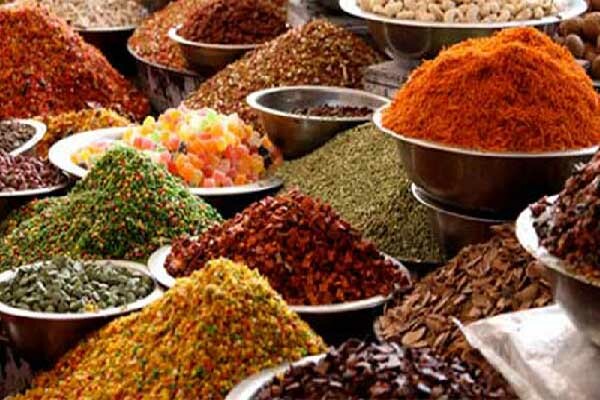 ISLAMABAD, Aug 31 (APP): The exports of spices from the country witnessed increase of 15.02 percent during the fiscal year 2015-16 compared to the exports of the same period of last year. The overall exports of spices from the country were recorded at $76.160 million during July-June (2015-16), compared to the exports of $66.216 million in July-June (2014-15), according to Pakistan Bureau of Statistics (PBS). In terms of quantity, the exports increased by 8.29 percent by going up from 6,713 metric tons to 20,281 metric tons. However, on year-on-year basis, the exports of spices decreased by 28.62 percent in June 2016 when compared to the exports of June 2015, the PBS data revealed. In June 2016, the total exports of spices were recorded at $4.551 million compared to the exports of $6.276 million in June 2015. The exports of spices also witnessed decrease of 36.98 percent in June 2016 when compared to the exports of $7.222 million in May 2016, according to the data. The overall food exports from the country during the FY2016 decreased by 12.56 percent compared to FY2015. The food exports during the FY16 were recorded at $3.990 billion compared to the exports of $4.563 billion in FY2015. It is pertinent to mention here that the overall mercantile exports from the country declined by 12.11 percent during the year 2015-16 as compared to same period of previous year. The country’s exports went down from $23.667 billion in July-June (2014-15) to $20.802 billion during corresponding period of the year 2015-16.